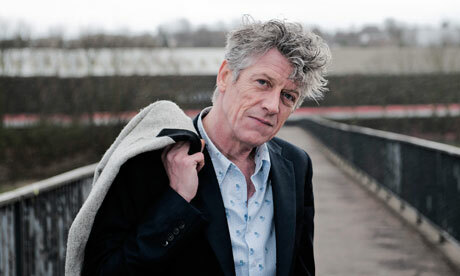 Walking on air: Blue Nile singer- songwriter Paul Buchanan is back with his debut solo album, Mid Air. In his essay ‘The Blue Nile: Family Life’, Marcello Carlin observes that “On every Blue Nile album there is a moment where time is literally stopped and emotion laid open and bare”. Eight years on from The Blue Nile’s previous- some say last- ever- album High, Paul Buchanan, the bands singer- songwriter, has finally delivered the solo album that many long- time fans of The Blue Nile have anticipated. Buchanan’s Mid Air is an album of thirteen, three- minute, piano- led songs and one instrumental, all of which get to straight to the heart of Carlin’s astute observation. Recorded by Cameron Malcolm (son of long- time Blue Nile producer / engineer Calum Malcolm), the success of Mid Air is largely down to the compression and brevity of Buchanan’s songs, which are as condensed and companionable as short lyric poems. The minimal arrangements that adorn each song eschew the sometimes too slickly produced, glossy feel of later Blue Nile records. Mid Air‘s opening title track features a beautifully restrained vocal from Buchanan, underpinned by light, electronic, orchestral strings. Like Tom Waits- whose common influence of Frank Sinatra looms large on Mid Air– Buchanan delicately croons and plays simple, elementary scales to stunning, emotionally intense effect, most evidently so on album highlight ‘Cars in the Garden’. Originally given the working title of Minor Poets of the 19th Century (after a book that Buchanan bought in his local Oxfam) Buchanan’s literate lyrics recall Larkin (‘Wedding Party’), Plath (‘Two Children’) and Yeats (‘My True Country’). Prior to recording Mid Air, a close personal friend of Buchanan’s passed on; no surprise, then, that, lyrically, the tone and mood of Mid Air is elegiac. Buchanan, however, extends the elegiac tone beyond bereavement; ‘Newsroom’ is a lament to the last days of print journalism (Last out the newsroom/ Please put the lights out/ There’s no- one left alive), while ‘My True Country’, featuring one of Buchanan’s most impassioned and convincing vocal performances, celebrates an imagined paradise. The portrayal of urban loneliness in the full glare of neon signs during the night- time hours- a central and defining characteristic of a Blue Nile song- is mostly absent on Mid Air, save for ‘Half the World’ and the sublime album- closer, ‘After Dark’. In Mid Air, Buchanan has crafted an accomplished collection of beautiful, honest songs that, like Joni Mitchell’s Blue and Tom Waits’ Closing Time, rely heavily on the strength of their lyrics, their modest arrangements, and humble, delicate, fragile, convincing vocal performances. A Mercury Music Prize nomination must, surely, be mid- air.